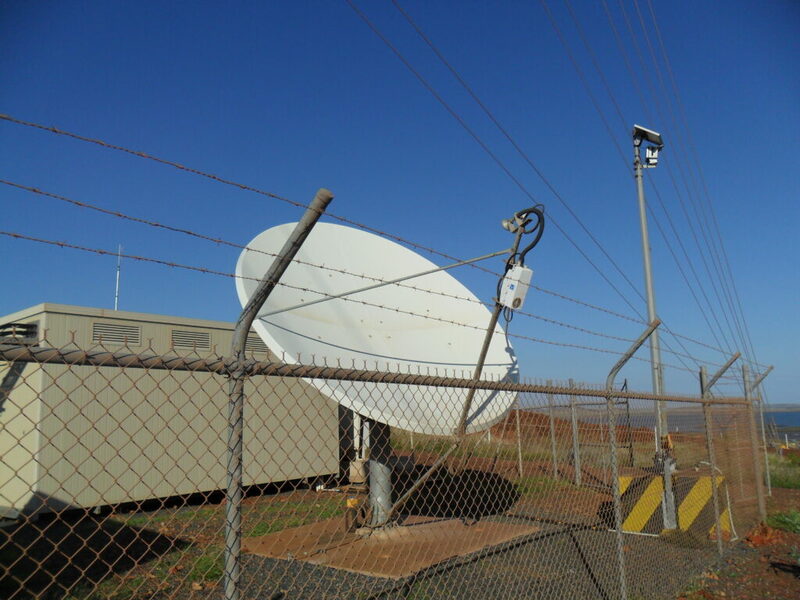 A low-noise block (or LNB) is the receiving device mounted on the feed of a satellite dish (VSAT), which collects the Radio Waves (RF) from the antenna converting them to L Band frequencies for the indoor unit. 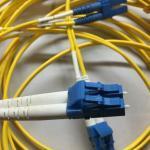 LNBs get their power from the indoor receiver or modem. The DC voltage is sent up the receive coax (Rx) and eliminates the need for an extra power cable. DC voltages are typically 19V. In stabilized antennas like Intellian or Sea Tel the LNB voltage is supplied by the pedestal in the Radome and not by the VSAT modem. It will still work if both are on. 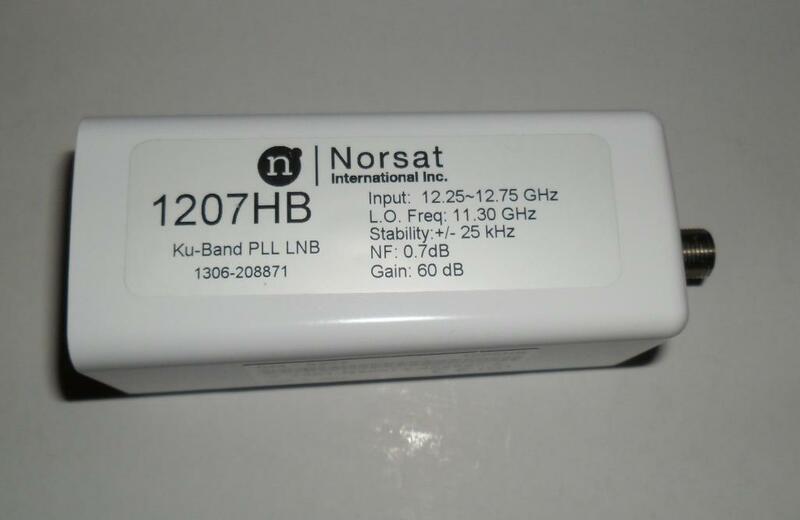 Some LNBs require an external reference signal to work, some generate an internal 10MHz reference signal. Make sure you know what type of LNB you have and the modem is configured correctly. The issues you will get if the external ref freq is not supplied to the LNB is noise, unable to lock to the inbound carrier and low/weak signal. It will still pass the hand test when you are trying to find the cause of the issue. The receive signal is very weak and its the job of the LNB to amplify this signal while limiting any noise. This is referred to as Noise Temperature or Noise Factor will be different for each manufacturer/model/LNB and a typical figure will be quoted. 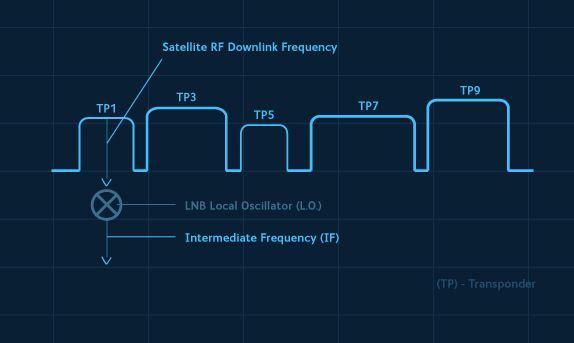 Frequency Down-conversion – Due to the high attenuation of the frequencies used by satellites in cables the LNB will convert these to lower frequencies. 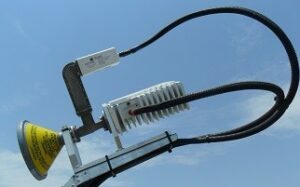 These lower freqs are called Intermediate Frequency (IF) which are normally L-band. The LNB mixes the receive signal with a local oscillator (LO) to produce the IF and is sent down the receive coax to the modem. When selecting which LNB to use in the system you must match the LO so that the IF will be in the Satellite receivers IF band. An LNB LO of 9.75 GHz will give an IF range of 950 – 1950 MHz which is in the iDirect X5 input range. Some different Ku band LO’s are 10 GHz, 10.75 GHz and 11.3 GHz. Some C-band LO’s are 5150 MHz. 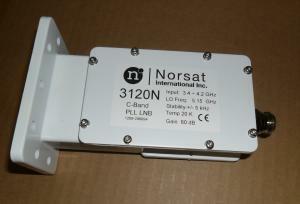 C-Band LNB with an N-Type connector and an LO of 5150 MHz. 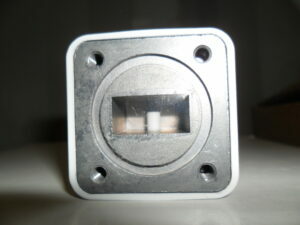 Inside of a Ku-Band LNB. The RF antenna can be seen inside. The ‘O’ ring should be lubricated which silicon grease and not silicon sealant, do not remove the clear film over the hole! 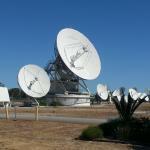 Note that the antenna is vertically polarised in this photo. An LNB mounted on a Ku-Band feed horn assembly. Is this cross-pol or co-pol?